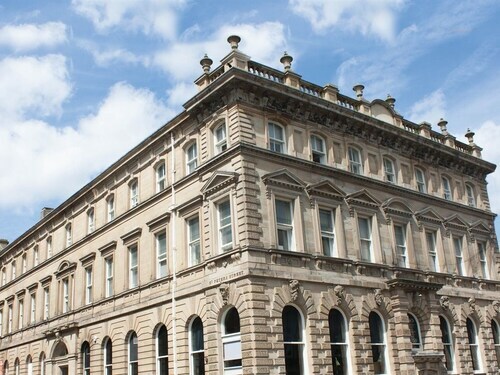 Located in the heart of Huddersfield, this hotel is within 1 mi (2 km) of Magic Rock Brewing Co. Ltd and John Smith's Stadium. Lawrence Batley Theatre and Huddersfield Town Hall are also within 15 minutes. Huddersfield Station is 8 minutes by foot. Situated in Huddersfield, this apartment building is within 1 mi (2 km) of Lawrence Batley Theatre and John Smith's Stadium. Huddersfield Town Hall and Huddersfield Art Gallery are also within 10 minutes. Huddersfield Station is only a 1-minute walk. 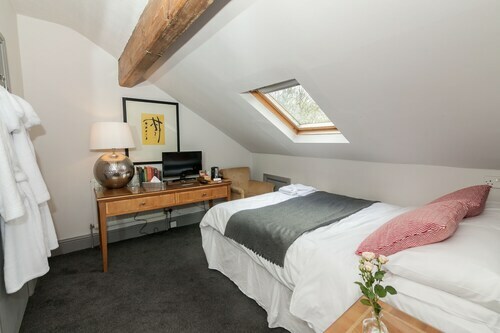 Situated in Huddersfield, this guesthouse is within 1 mi (2 km) of Magic Rock Brewing Co. Ltd, University of Huddersfield, and John Smith's Stadium. Castle Hill and Victoria Theatre are also within 9 mi (15 km). Huddersfield Station is 8 minutes by foot. 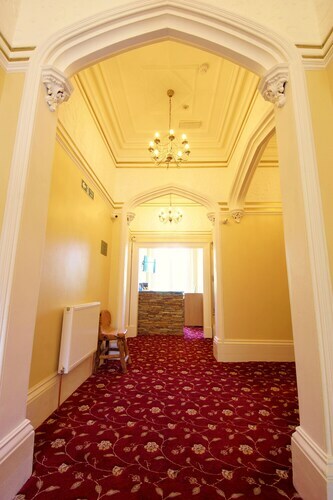 Situated in Huddersfield, this apartment building is within 1 mi (2 km) of Lawrence Batley Theatre and John Smith's Stadium. Huddersfield Town Hall and Huddersfield Art Gallery are also within 10 minutes. Huddersfield Station is only a 2-minute walk and Lockwood Station is 29 minutes. 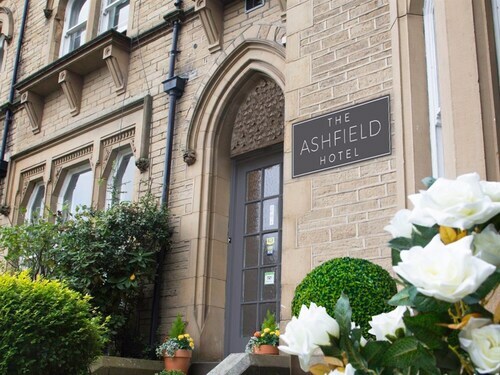 Located in the heart of Huddersfield, this hotel is 0.2 mi (0.4 km) from Greenhead Park and 1.4 mi (2.2 km) from John Smith's Stadium. Magic Rock Brewing Co. Ltd and Huddersfield Town Hall are also within 1 mi (2 km). Huddersfield Station is 13 minutes by foot. 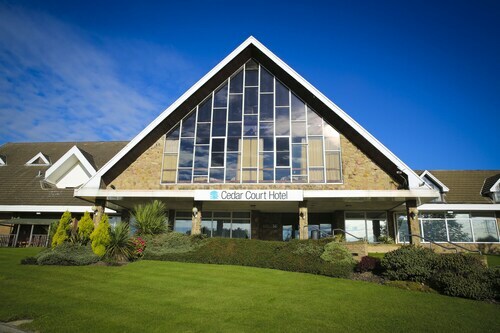 Situated in Huddersfield, this hotel is 0.3 mi (0.4 km) from Greenhead Park and 1.4 mi (2.2 km) from John Smith's Stadium. Magic Rock Brewing Co. Ltd and Huddersfield Town Hall are also within 1 mi (2 km). Huddersfield Station is 13 minutes by foot. 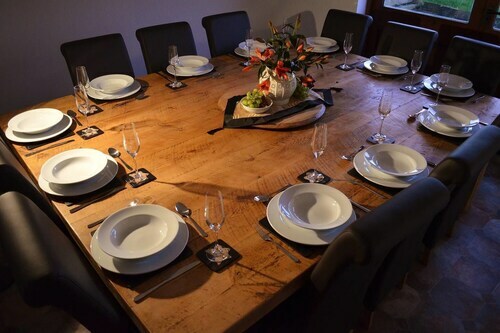 Situated in a rural location, this eco-friendly hotel is within 3 mi (5 km) of Greenhead Park, Magic Rock Brewing Co. Ltd, and Huddersfield Golf Club. Huddersfield Town Hall and Lawrence Batley Theatre are also within 3 mi (5 km). Situated in Huddersfield, this inn is 0.5 mi (0.9 km) from Greenhead Park and 2 mi (3.1 km) from John Smith's Stadium. Magic Rock Brewing Co. Ltd and Huddersfield Town Hall are also within 2 mi (3 km). Huddersfield Station is 22 minutes by foot. 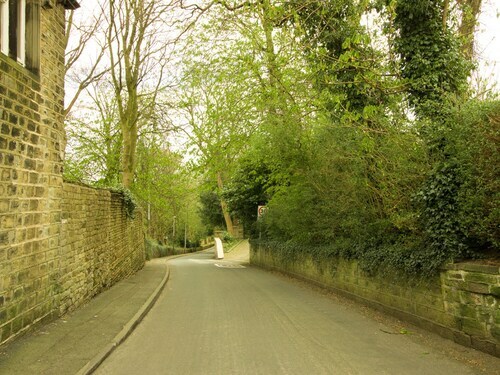 Situated in Huddersfield, this cottage is 1.2 mi (2 km) from Castle Hill and 2.4 mi (3.8 km) from John Smith's Stadium. Woodsome Hall Golf Club and Tolson Museum are also within 2 mi (3 km). Situated in Huddersfield, this vacation home is 0.8 mi (1.2 km) from Castle Hill and 2.2 mi (3.5 km) from John Smith's Stadium. University of Huddersfield and Grosvenor Casino Huddersfield are also within 2 mi (3 km). Berry Brow Station is 26 minutes by foot and Lockwood Station is 28 minutes. John Smith's Stadium is renowned for unforgettable events and exciting experiences. So you're not left disappointed, be sure to buy your tickets ASAP! It is located in Huddersfield, which is regularly oriented in relation to the more recognizable city of Manchester, 20 miles (32 kilometers) away. If you'd like to be right in the heart of the action, there are 3 accommodation options within 0.1 miles (0.2 kilometers) of John Smith's Stadium that will be sure to tick all of your boxes. If you don't mind going a little farther away, Leeds, just 14 miles (23 kilometers) away, is home to no less than 3 options to pick from. You'll be sure to find a great room at the Gateway Apartments, Quebecs Luxury Apartments and The Chambers - Park Place - Apartments. You'll find a small selection of wallet-friendly hotels in the surrounding area. Some favorites are the Durker Roods Hotel and the Days Inn Bradford M62. You needn't be a celebrity to stay at one of the first-rate establishments that are located a short drive away. Consider the Shibden Mill Inn and The Lodge at Birkby Hall. For those that are finding it a bit difficult to pay attention to their travel itinerary, a coffee and a snack might help. Only 0.1 miles (0.2 kilometers) from John Smith's Stadium, HD1 Café - Bar (The John Smith's Stadium, Stadium Way, Huddersfield) is a good option. As it starts to get dark, you'll probably start to crave some dinner. If you don't want to go out of walking distance, Rope Walk (Stadium Way, Huddersfield) makes for an excellent choice. History may not come to life in textbooks, but the exhibits at Tolson Museum offer an enlightening experience for all. Explore your cultural side and buy tickets to see a play at Lawrence Batley Theatre. See the art on exhibit at Huddersfield Art Gallery. Get better acquainted with how this area operates by visiting Huddersfield Town Hall. Make sure to inquire about visiting times before heading to this interesting landmark. Do you want to escape the noise and confusion of city life? Enjoy a jog in Greenhead Park, an idyllic urban sanctuary. If you want a convenient way to see John Smith's Stadium, all you have to do is hop on a train to Huddersfield, 0.8 miles (1.3 kilometers) away. How Much is a Hotel Room in John Smith's Stadium? 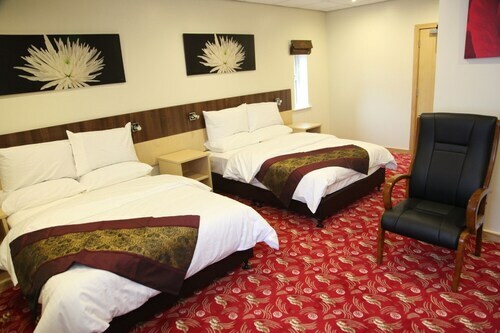 Hotels in John Smith's Stadium start at $42 per night. Prices and availability subject to change. Additional terms may apply.